Eye creams don’t come cheap, so you might as well find other ways to incorporate them into your beauty routine. Here, three genius ways for you to get the most out of your product. 1. Mix it with your under eye concealer. If not applied and set properly, cream concealers and correctors are notorious for creasing midday. To avoid this mishap, mix a bit of your eye cream into your cream concealer to make the texture smoother, making it easier to glide onto your skin. Doing this will also keep your concealer in place. 2. Smooth out fine lines between your brows. Bet you didn’t think of this one! 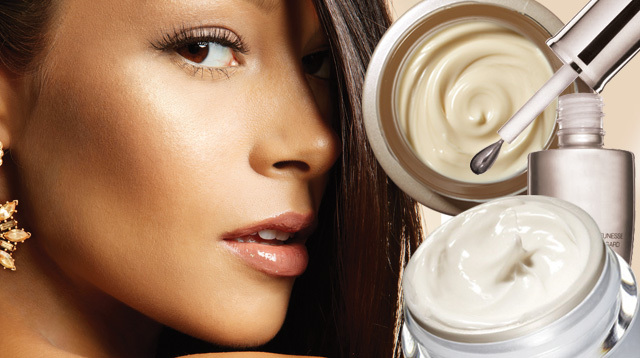 Pat excess eye cream in between your brows so you don’t look so angry with your #browsonfleek. If you’re feeling a bit *~blah~* with your makeup, smooth a bit of eye cream onto the high points of your face—yes, on top of your foundation and powder! It will give you that much-needed glow.